Room service, laundry service, wake-up calls, travel service, car/bus rental service, free parking lot, free Wi-Fi. The Banyan Tree Lijiang (Lijiang Yuerong Zhuang) offers visitors to this charming Yunnan destination a luxury villa travel experience in the midst of Lijiang's enchanting Shuhe, an ancient settlement just to the south of majestic Jade Dragon Snow Mountain. The Banyan Tree is within easy reach of Lijiang's Old Town with its unique Naxi architecture, canals, bridges and cobbled streets. This Lijiang hotel's Banyan Tree Gallery is an excellent place to pick up mementos of Lijiang. 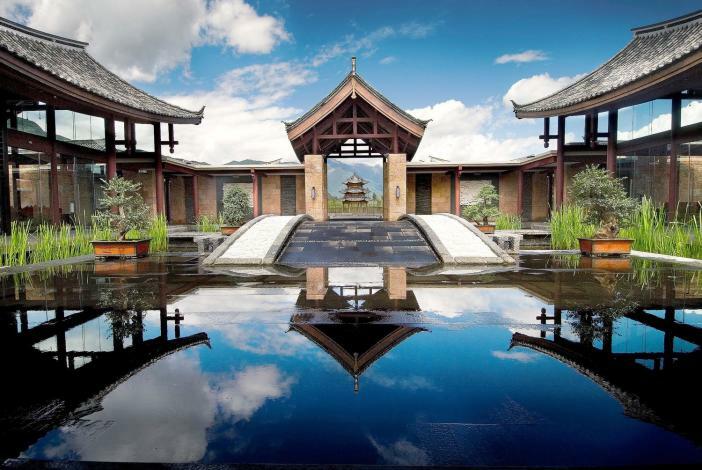 The Banyan Tree Lijiang Spa offers guests indulgent massage sessions and a-la-cart spa treatments. Dining is also a treat, featuring exquisite Chinese banquet-style dishes served in an atmosphere of old-world elegance with local musicians providing entertainment on an outdoor stage. Air-conditioned private dining is also available for guests who desire it. - 36km to Sanyi Airport.